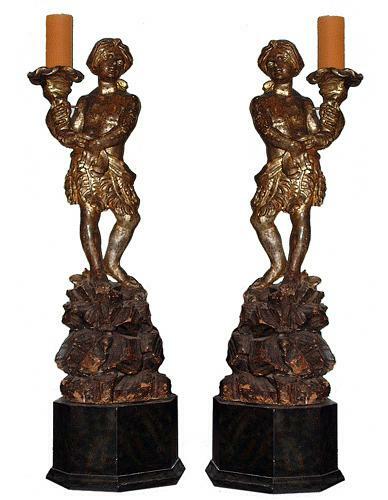 An Exotic Pair of 18th Century Venetian Silver Gilt Carved Figures No. 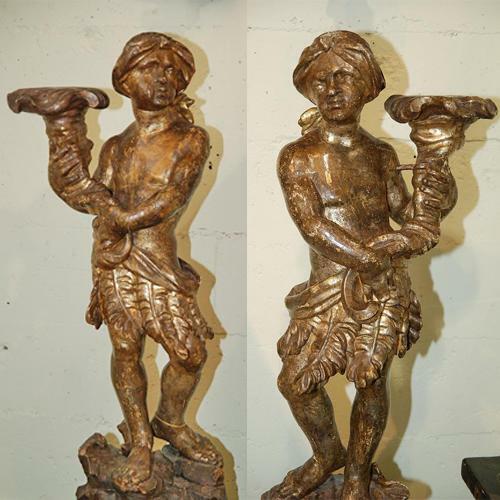 1569 - C. Mariani Antiques, Restoration & Custom, San Francisco, CA. Figure Height: 55"; Faux-Marble Base: 13"